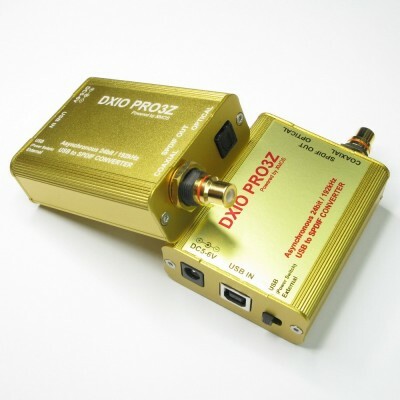 New DXIO PRO3Z uses the latest XMOS XCORE-200 XU216-512, it is equal to Two XU208 in One chip. *This item may required 1-2 week to ship, it is built and tested one by one in my spare time. This is the best USB to SPDIF for audiophile to enjoy. 1) The XMOS used in this pcb is XU216 2000MIPS and it contains two tile. It is equal to two XU208 combined in one silicon chip, one dedicated tile is used for the USB data and the other tile is dedicated to process the audio data to the DAC. XU216-512 includes 4x more ram than xu208-128, 8x more ram than U8/U6. This item is in limited stock, maximum 2pcs per buyer. Please contact us if you want to buy more than 2, thanks. OEM are welcome, please contact us for volume pricing.